Mason Wells has sold Eddy Foods (DBA Eddy Packing), a processor of smoked, cooked and fresh pork, beef and poultry products, to Insight Equity. Mason Wells acquired Eddy Packing in January 2012 through its $525 million third fund. Eddy Packing’s branded and private label products include barbeque meats (beef, pork, chicken and turkey), marinated meats (smoked and fresh), beef brisket (whole, sliced, and chopped), beef ribs and cutlets, pulled pork and chicken, smoked and fresh sausages, fajitas, and kolaches (stuffed pastries). The company’s products are sold to foodservice, contract packing and retail customers. 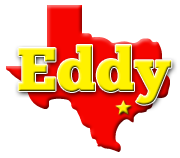 Eddy Packing was founded in 1953 and is headquartered east of San Antonio in Yoakum, TX (www.eddypacking.com). The existing management team of Eddy Packing is investing in this transaction alongside Insight Equity. 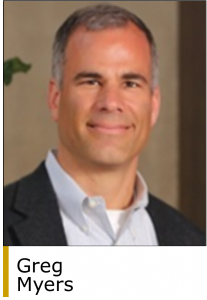 At closing, Jim Reed, an executive with more than 26 years of experience in the food and protein processing industries, joined the company as its new chief executive officer. “Insight Equity is excited to partner with an experienced operating team to pursue continued growth at Eddy. The combination of Jim Reed and John Fortino will support the company’s goals of developing best in class facilities while also expanding into new markets,” said Eliot Kerlin, a senior partner at Insight Equity. Insight Equity makes control investments in middle market, asset-intensive companies across a range of industries and specializes in partnering with companies in complex and challenging situations, including corporate divestitures, aggressive growth opportunities, restructurings, and transitions from private family ownership. The firm is based near Dallas in Southlake, TX and also has an office in New York (www.insightequity.com). Mason Wells makes investments in Midwest-based companies with revenues of $25 million to $300 million and EBITDAs of $5 million to $30 million. Sectors of interest include consumer packaged goods; packaging materials and converting; outsourced business services; and engineered products and services. In February 2016, Mason Wells held a final closing of Mason Wells Buyout Fund IV and its related Executive Buyout Fund IV with total commitments of $615 million. The firm was founded in 1998 and is based in Milwaukee (www.masonwells.com). Robert W. Baird (www.rwbaird.com) was the financial advisor to Eddy Packing.